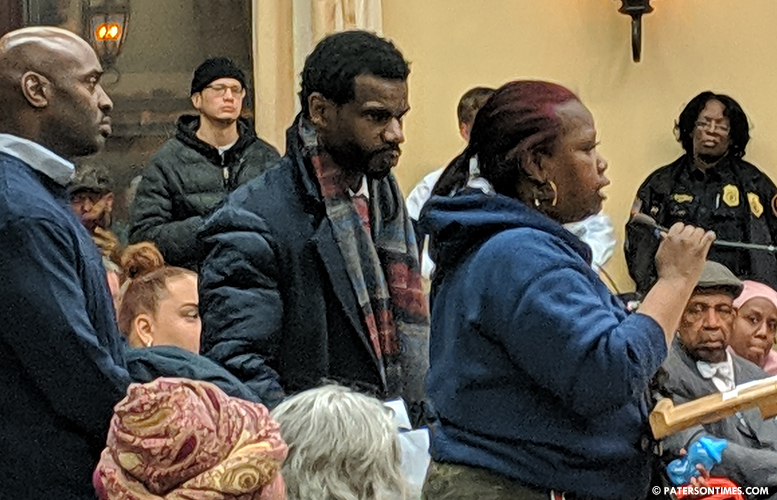 The family and supporters of 27-year-old Jameek Lowery continued to protest on Tuesday night, demanding answers for the man’s mysterious death. King confronted the mayor and repeatedly said police officers were allegedly harassing her other children. Outside the council chambers, her daughter swore at a police officers and a disturbance broke out. There’s no evidence King’s son was killed by police officers. Lowery died last Monday following a series of bizarre events. He called 911 early Saturday morning from his home and told a dispatcher he had taken too many ecstasy pills and needed an ambulance to take him to the hospital. He arrived at the hospital, but became “erratic” and left. Moments later, Lowery called 911 again, this time from Wendy’s on Broadway, telling the operator some people were trying to kill him. He then walked a short distance to the Frank X. Graves Public Safety Complex seeking assistance from police. Lowery live streamed a video presaging his own death. He called 911 a third time from the police station. Police also requested an ambulance to take Lowery to the hospital. He walked into the ambulance. Inside, police had to use physical force to restrain him. He arrived at the hospital unresponsive. It is not clear what happened from the time Lowery got into the ambulance to the time he arrived at the hospital. But the death has sparked non-stop protests, including a violent demonstration last Tuesday. Protesters have held demonstrations since Lowery’s death was made public. King attacked the mayor for getting treatment at St. Joseph’s Regional Medical Center after it was revealed her son may have had been suffering from meningitis. 38 people have received preventative treatment against bacterial meningitis. “All that meningitis bull crap is not going to stop us,” said King. Protests have thinned since news emerged her son may have had meningitis, some fearing possible contraction of the disease by coming in close contact with the family. Fewer than 75 people attended the protest on Tuesday. King said the family is doing an independent autopsy of her son to determine cause of death. Law enforcement officials have yet to release Lowery’s autopsy results. On Tuesday, there was heavy police presence around the City Hall. Barricades surrounding the entire building. Councilman Michael Jackson criticized the heavy police presence. Police also controlled access to the building. “Why is the door downstairs locked? We have a public meeting here,” said council president Maritza Davila. Business administrator Vaughn McKoy said the building had reached capacity. The mother vowed there would be no peace until her son gets justice. She chanted “no justice, no peace” following her speech prior to exiting the chambers.